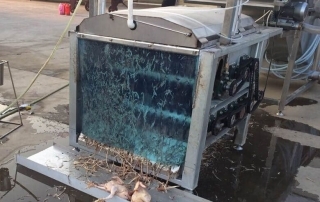 The poultry plucker machine is an essential part of modern farming that is used to remove feathers from slaughtered birds including chickens, geese, pigeons, and quail. 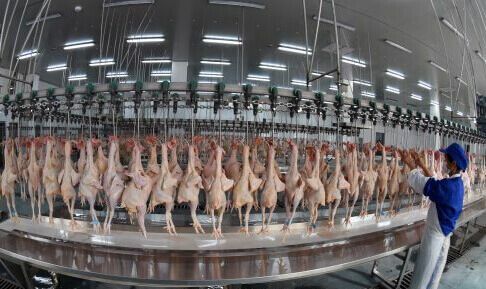 Feather plucking is required along with a cleaning process that removes any remaining fuzz, the claws, and any surface dirt. 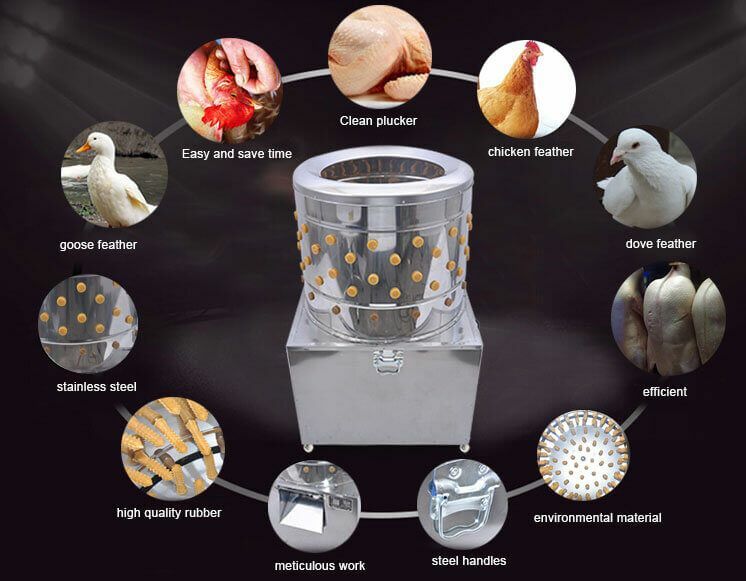 This Scalding and Plucking Machine is used to scald and pluck the feathers of poultry including chicken, geese, ducks, and other birds. 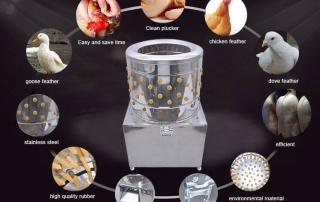 The body of the machine is made of quality 304 stainless steel and the machine is very easy to operate. It also features low water and energy consumption. 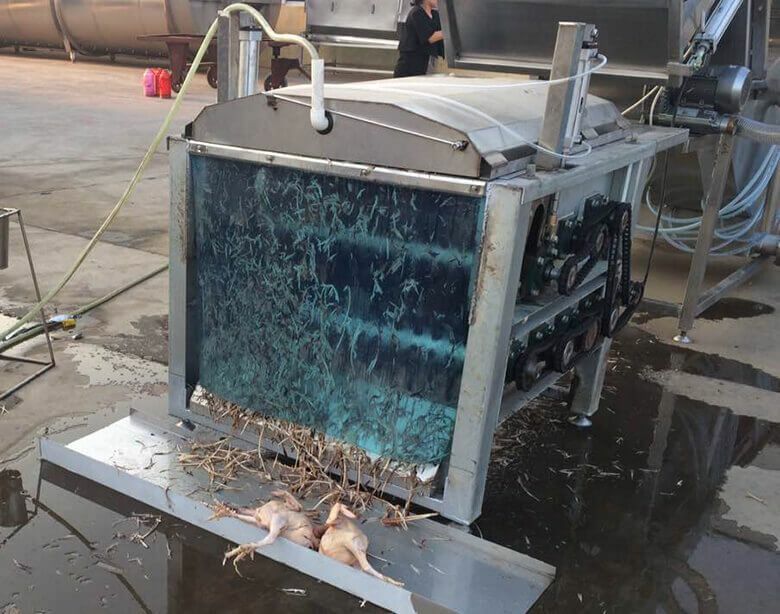 This machine is intended for large-scale slaughtering of chickens and was originally designed for a slaughterhouse abattoir project. 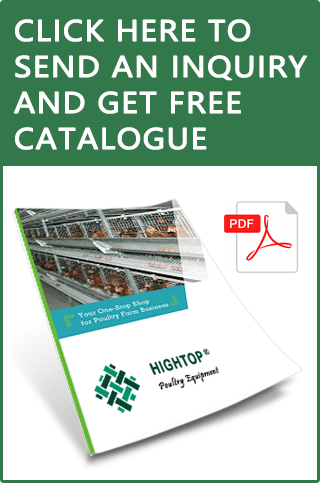 A complete poultry slaughter line basically comprises different slaughter equipment combined with conveying rails. 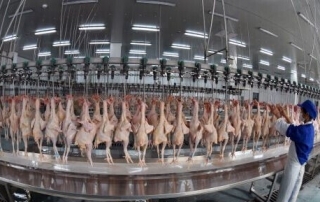 It's the core part of a successful slaughterhouse operation.